If you think about the parts of a car that need serious maintenance and care ultimately paint is pretty low on the list. It’s largely cosmetic. However, a knick or scratch on your car’s exterior can be quite annoying and anger-inducing. Most bumps and scratches on a car come from everyday use. The tiny rocks on the road, the wind pushing debris around and other culprits are sort of inevitable. The real pain is removing those tiny scratches or re-painting your car. Nowadays we have companies revolutionizing car paint and waxes to be more resilient against knicks, bumps and scratches. Another solution would be paint protection film. You can apply a thin layer of film to a car or select areas and the visual difference would be minor. 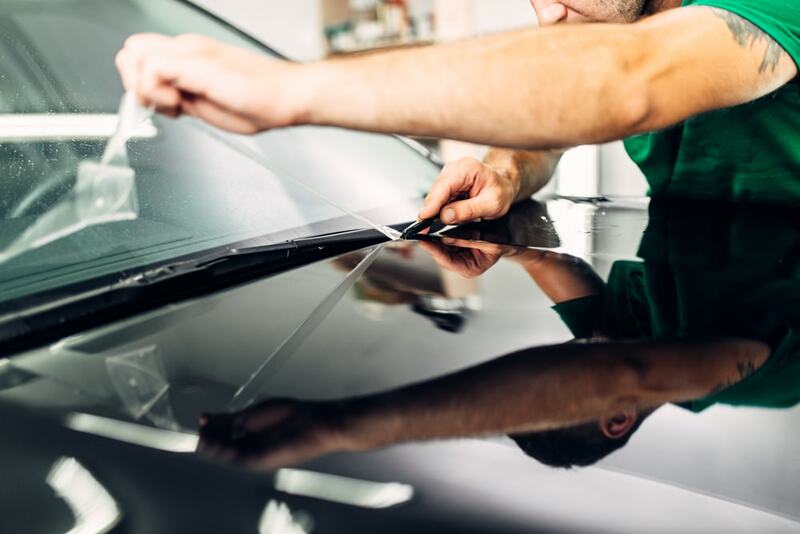 What is Paint Protection Film for Cars? The company 3M, known for their tape, invented this protection film to increase the lifespan of helicopter rotor blades. The material is made up of a thermoplastic urethane film. Eventually this became known as “helicopter tape.” Eventually, the film was found by 3M to be applicable and useful to cars. First they tried it out for racecars. Eventually they made it available for road cars. Back in the day the film worked just fine but they were notoriously thick. They were so thick they often got in the way of how a car normally looked. Later, 3M found a way to get the material to be thinner and thinner. The thinner material was also even more pliable than before too. 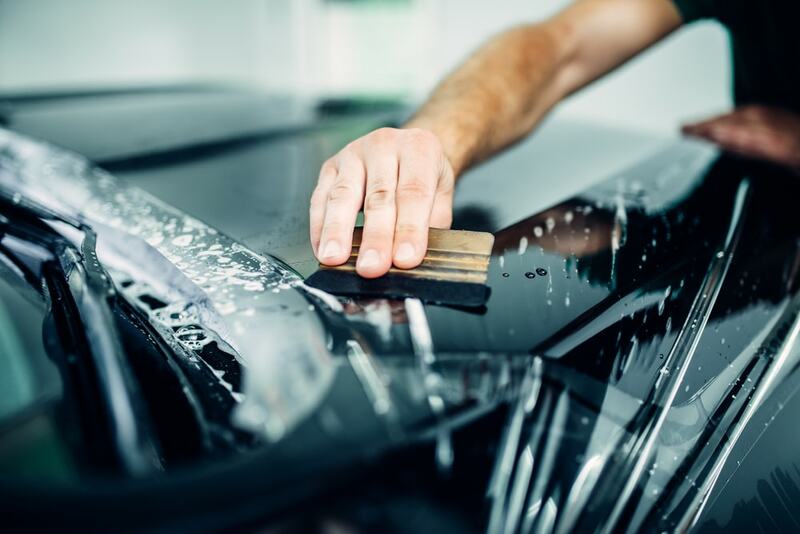 How is Paint Protection Film Applied to Your Vehicle? Earlier films were only applicable to new cars via certified dealers. The film was only ever applied on the most vulnerable areas of a car’s exterior. An example would be a top-tier luxury sports car would only apply the film on the car nose and side mirror. That would protect them from debris when the car is running at higher speeds. Later on, car dealers found that there was a market for all new cars to have leading edges, rocker panels, door edges, mirrors and the painted areas behind the wheel wells protected. There was enough advancement in the material that aftermarket shops began learning how to use and apply these as well. Now you can have paint protection film applied to both new and used cars. Paint protection film is not meant to remain on a car forever. It needs to be replaced as the adhesive quality goes away. But once applied, this thin layer never scratches and protects the car from dirt and debris. The material is malleable and viscous enough that instead of getting scraped it merely re-shapes in the face of sharp friction. You’ll notice a few dimples in certain light but the actual car and car paint would remain in-tact. 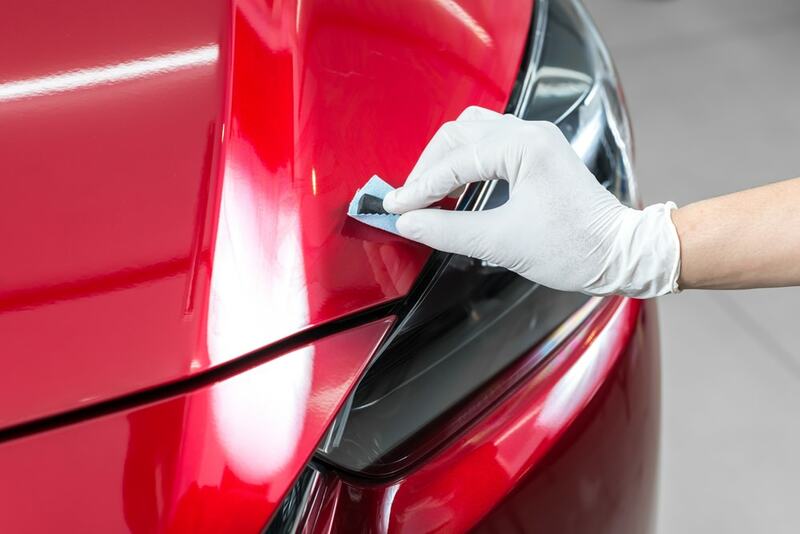 When you need to remove it, it peels off easily, revealing clean and unblemished car paint and exterior. So paint protection film ultimately is very useful to maintain the aesthetics of your car’s exterior. Mind you that the film itself can be expensive. It’s even more difficult to apply the film if you are not a professional. You should also do your homework as some brands are better than others. There’s no denying that knicks and scratches are annoying blemishes on your car. That’s why they came up with these solutions. The key to making something like paint protection film work in your favor is to know how it works. For more of your automotive tips and tricks, stay tuned on ShopTalk!